Living your busy life full of different social activities, work and kids cleaning your property usually are left behind. As we all know the daily cleaning routines are never ending chore and take a lot more time than we expect. Keeping your household sanitised and neat might be boring and even exhausting for yourself, but for Mega Cleaning is a priority and the main goal to achieve great results every time. Therefore, trusting us for your One off cleaning in London or Outside M25 we can assure you your property will be left sparkle clean. And as a result, you can enjoy a tidy and refreshed atmosphere you would love coming into. 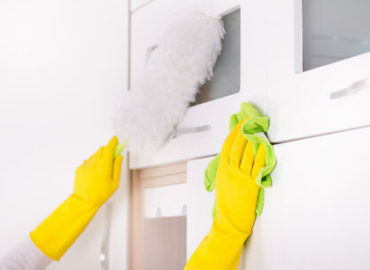 With the variety of the One-off/ Spring cleaning services in London, we offer such as deep clean, spring clean or just refreshing a part of your household, we will satisfy your own requirements and meet your expectations. No matter what is the occasion for the cleaning our motivated team will provide you with high-quality service at an affordable price. Not only the constant training of our cleaners but the implemented quality control system and the employ of professional products and equipment are the guarantees for a great service you can rely on for each of your One off cleaning London. Furthermore to obtain a final touch to your property adding a professional Carpet or Upholstery cleaning will be the perfect asset. 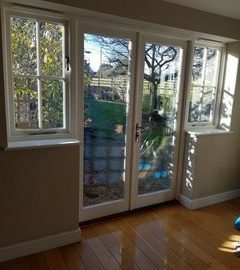 You can also take advantage of the other comprehensive cleaning services we offer in London and even outside M25 such as End of tenancy cleaning and After builder cleaning. What we are as a company is because of our staff. We are proud of our young and enthusiastic team of professionals who are working directly for us. They keep up the highest standards due to the implementation of a quality control system and constant training. You will, therefore, receive One off cleaning services performed with care, diligence, and knowledge. As well as a trustworthy team you can commit your cleaning ideas to your home or office. The One-off cleaning in London is specifically designed for your individual needs. Thus your requirements will be followed by our cleaning teams with an acute and impeccable precision in a timely and orderly manner. In fact, our responsibility is to ensure you obtain a clean, tidy and cosy home so you can enjoy it with your loved ones. For all your cleaning queries, you can rely on us and benefit from the wide range of services we provide. * All price rates are suitable for areas within M25 as well as minimum charges apply for all services. *Have in mind that the One off cleaning is an hourly based service. Accordingly, to the size of the property and your requirements, our support team will prepare your individual quote. Refresh your home in a significant way with the One-off cleaning service we offer you in London and the region. Contact us on 020 3637 7737 or send us your request through the online form and Mega Cleaning’s staff will assist your further. For your One off cleaning services and for great results each and every time you can rely on Mega Cleaning. 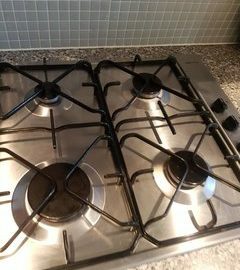 We offer One Off cleaning service in Southall, Twickenham, Kingston upon Thames, Slough, Reading, Guildford, Hemel Hempstead, Oxford, Harrow, St Albans, Milton Keynes, Luton, Watford, Stevenage, Enfield, West London, Northwest London, Southwest London, North London, Redhill, Central London, and more. Huge thanks for making our property looks like that. It is like brand new- carpets, oven, everything is shining.